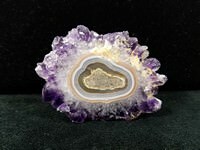 These are just a few of our newer listings of polished stones, gems and minerals. 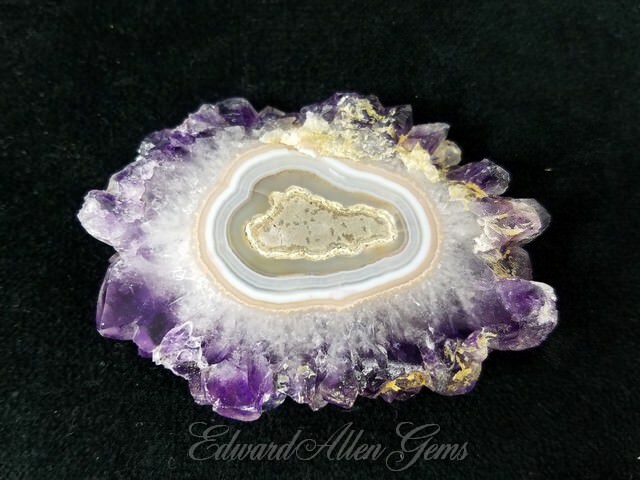 For most of these pieces, we charge one shipping cost for all that will safely fit in the box and will ship to the U.S. as well as Internationally. 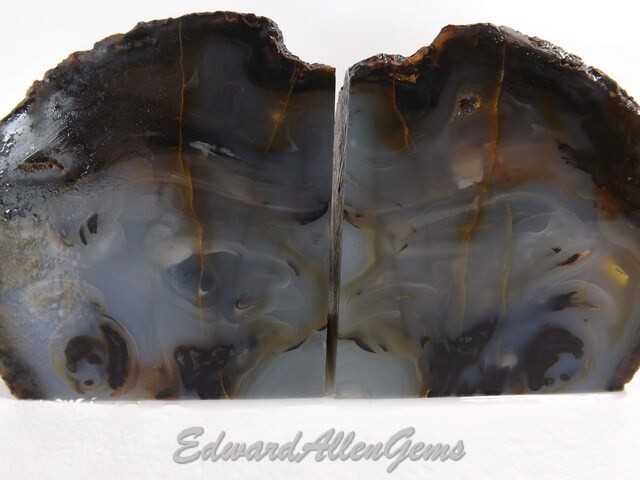 In some cases there may be additional shipping costs. You can also contact us if you prefer First Class shipping for less. Please read our Store Policies for full details. 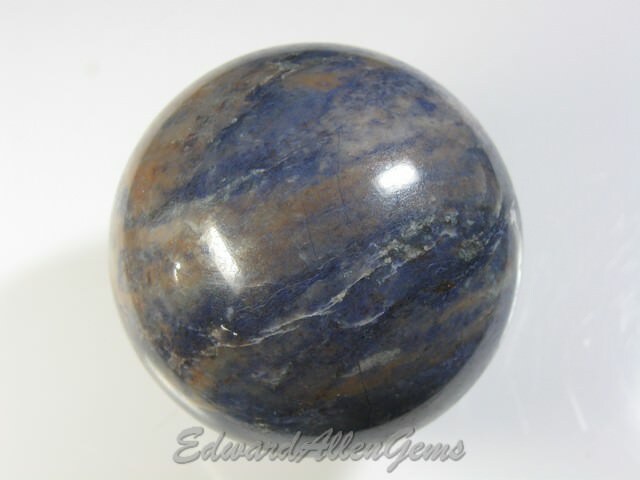 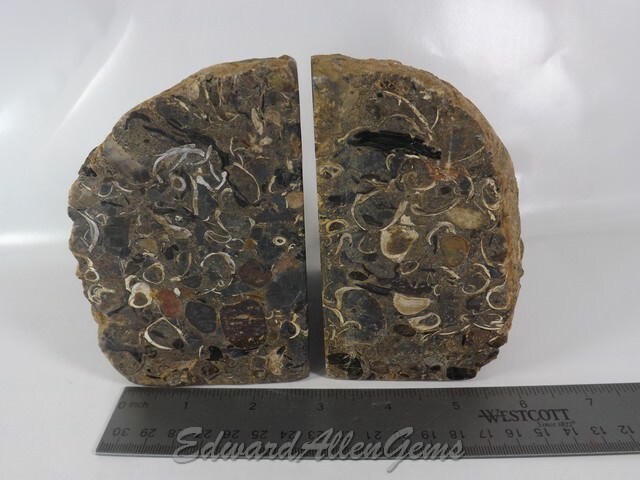 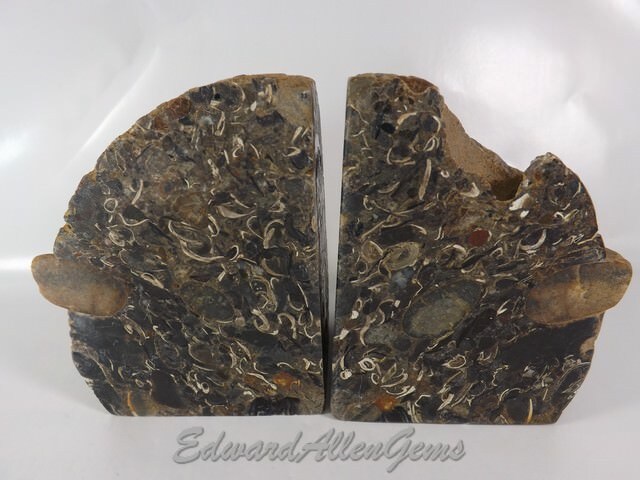 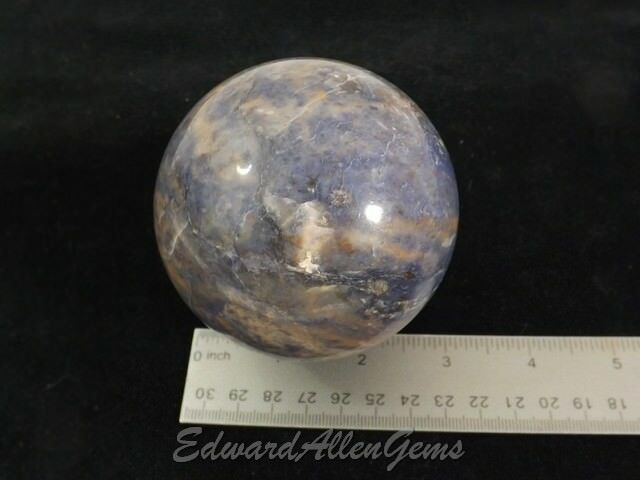 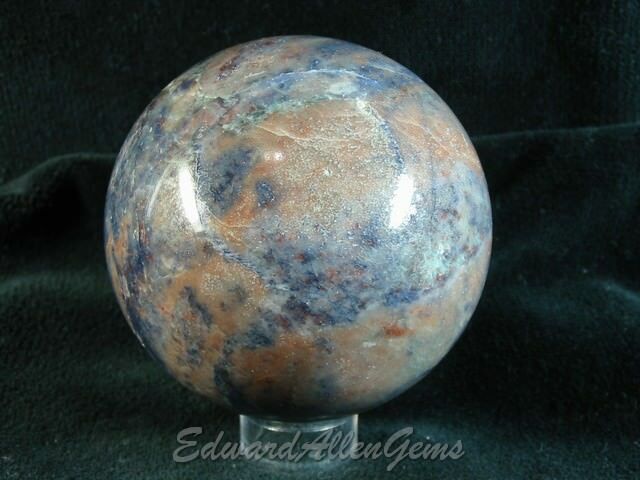 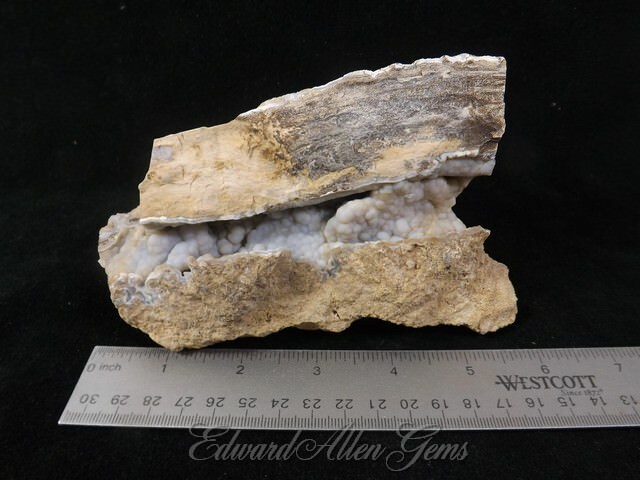 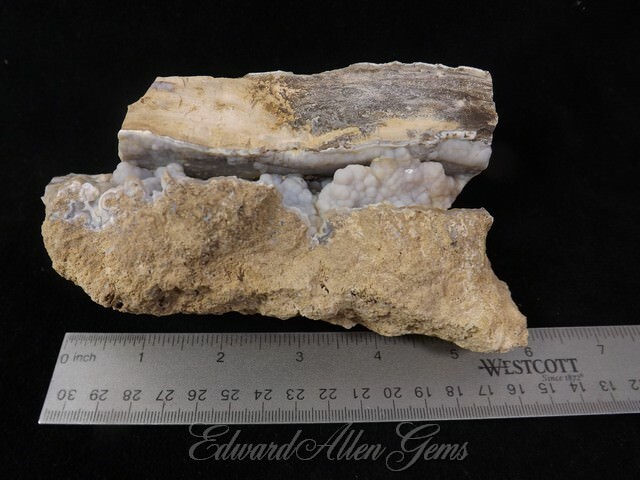 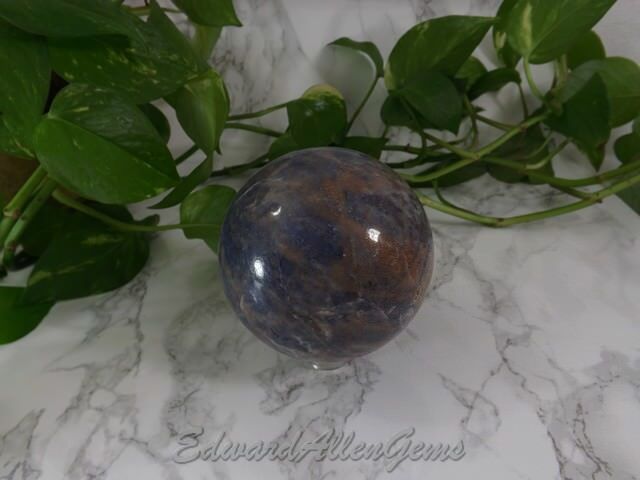 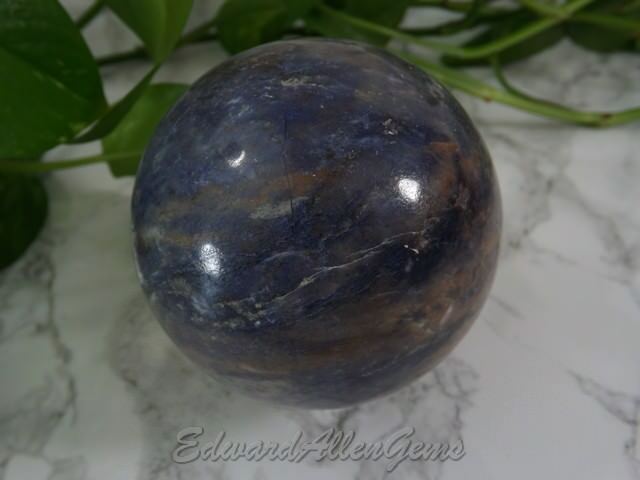 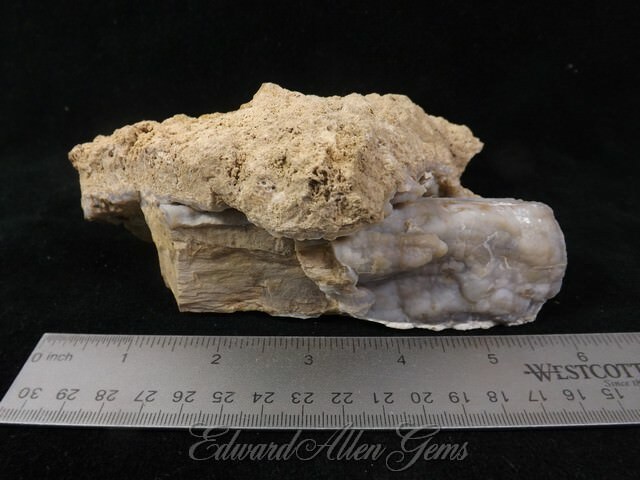 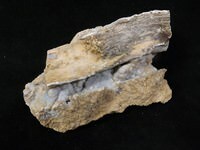 This is a natural, unpolished small branch of Blue Forest Petrified Wood, from Eden Valley, Wyoming. 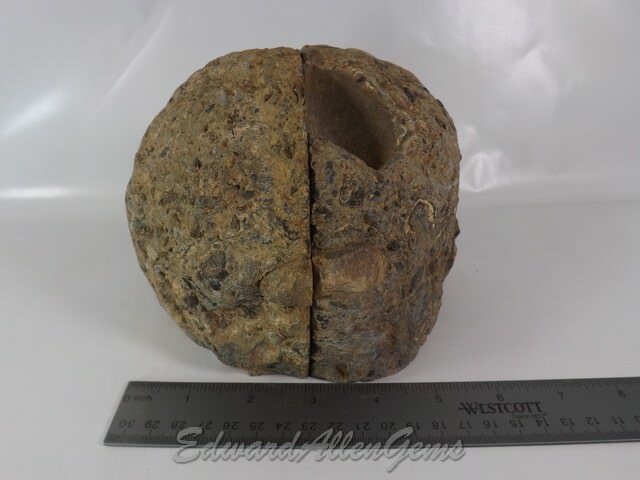 We shared the post in a Facebook group and the concensus was that it was a quarter-round Pepper Tree, with Algae growth. 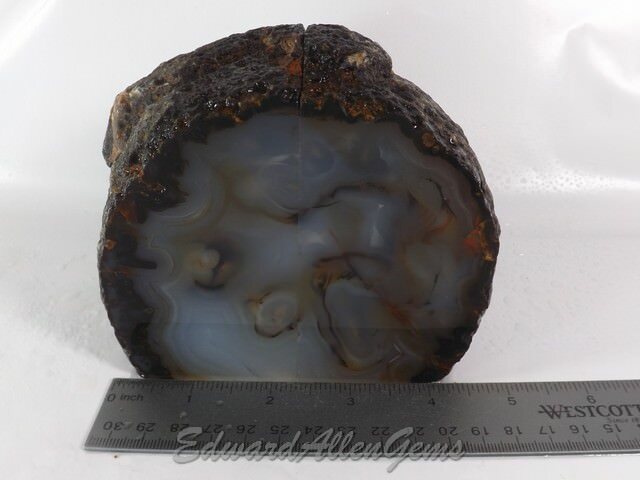 Notice the subtle blue botryoidal chalcedony bubbles. 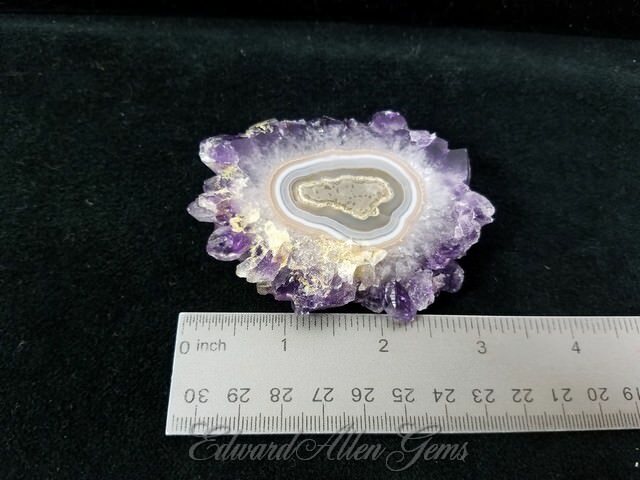 Overall it measures about 5 1/2" x 4 1/2" x 2 1/2" high at the widest points. 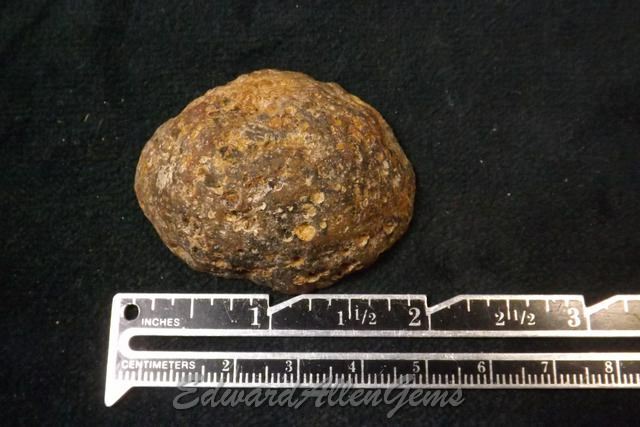 It weighs 1 lb 10 ouncez. 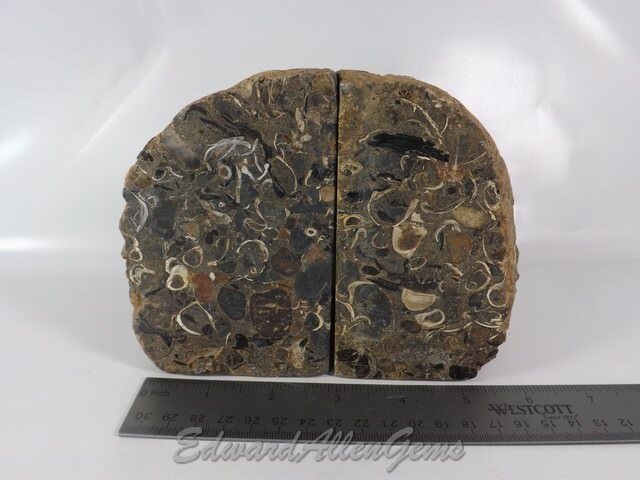 Very neat natural specimen. 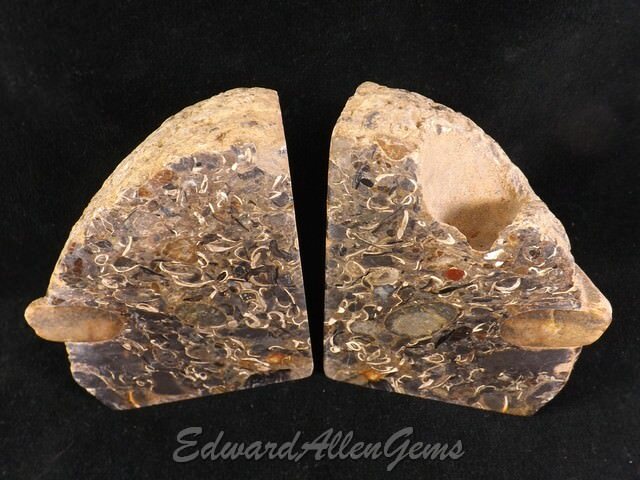 See more PETRIFIED WOOD here. 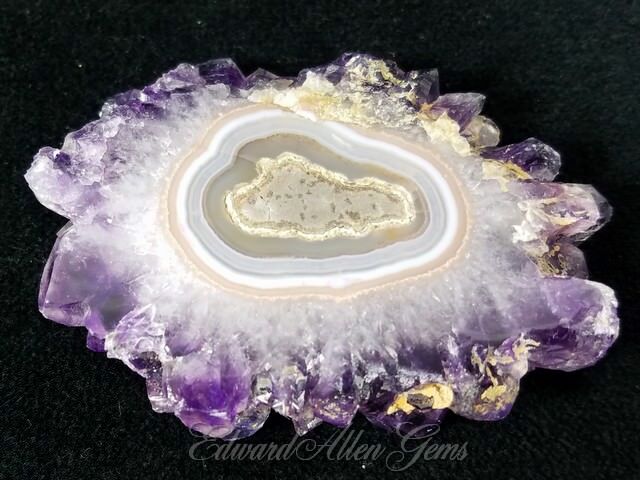 This Amethyst Stalactite slice has a nicely-formed center tube and is surrounded by dark purple Amethyst crystals. 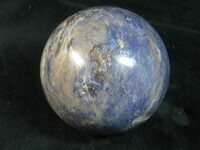 On the 'back' side the tube has faded away and there is just a subtle color change in the center. 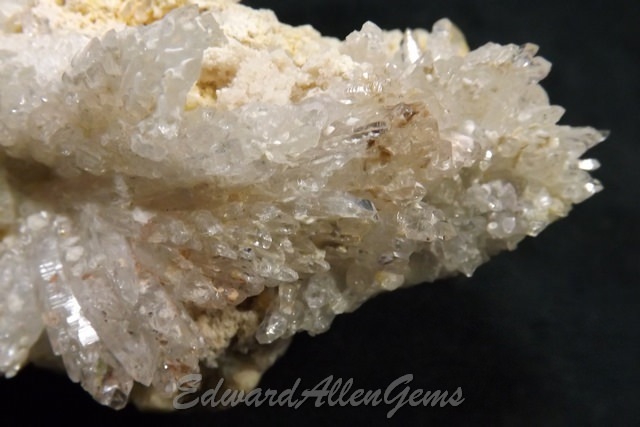 The tan residue visible in some of the crystals might be removable with a little cleaning, not sure. 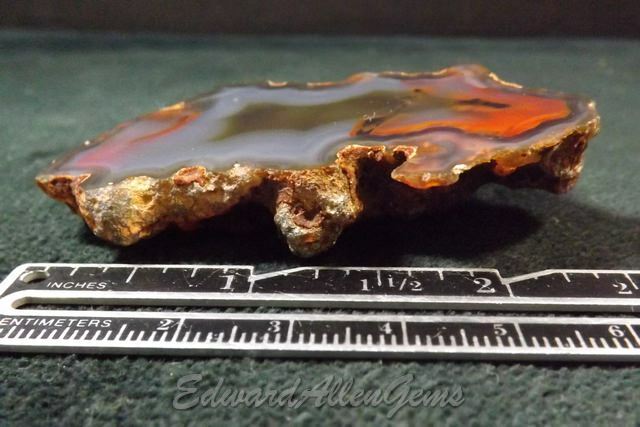 The size of this one is about 3" x 2" and 17-18 mm thick. 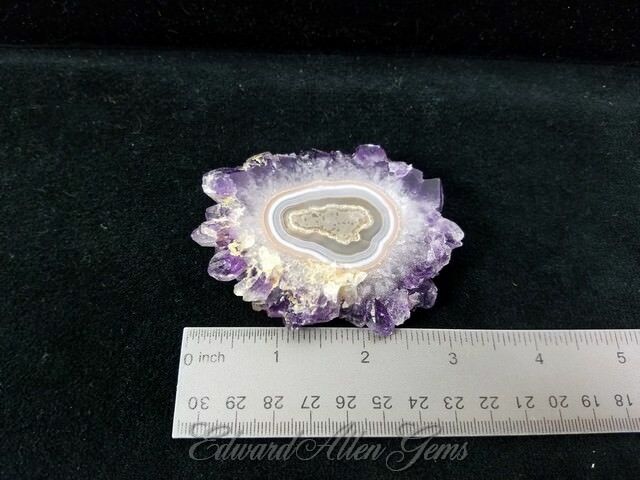 It weighs 124.2 grams, or 4.4 ounces. 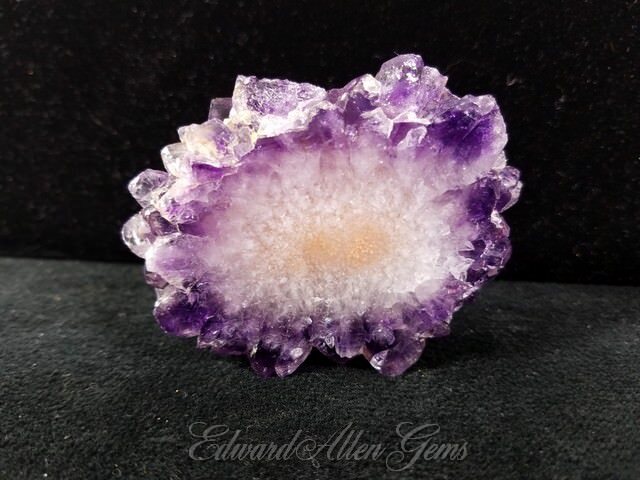 See more AMETHYST SPECIMENS here. 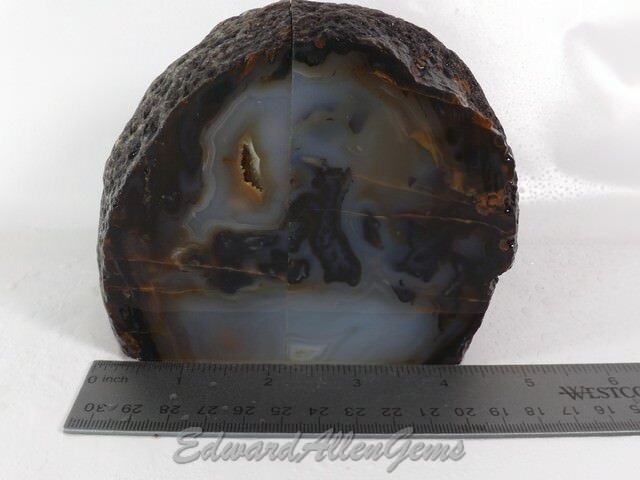 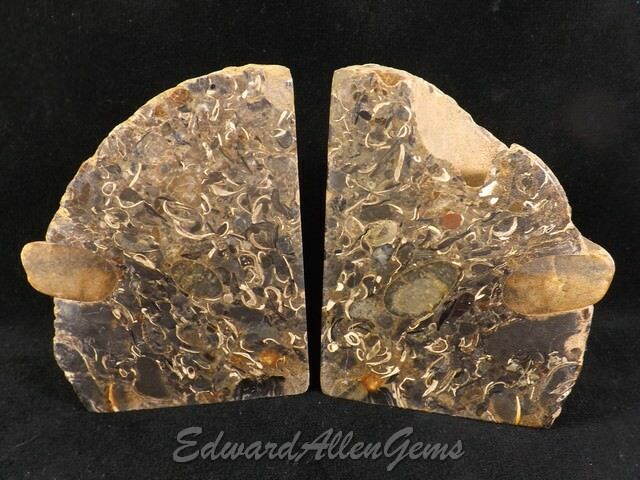 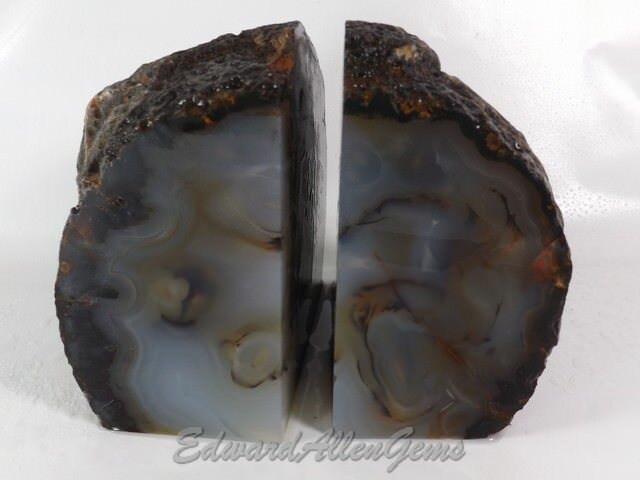 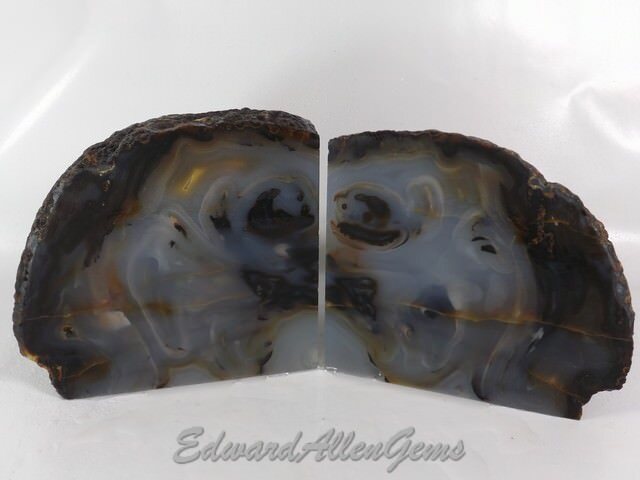 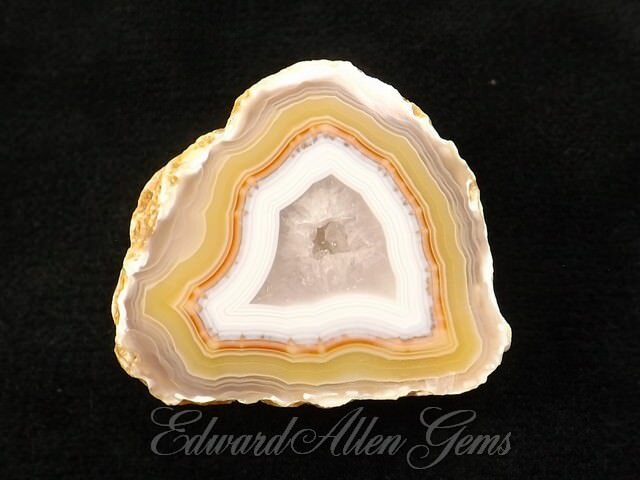 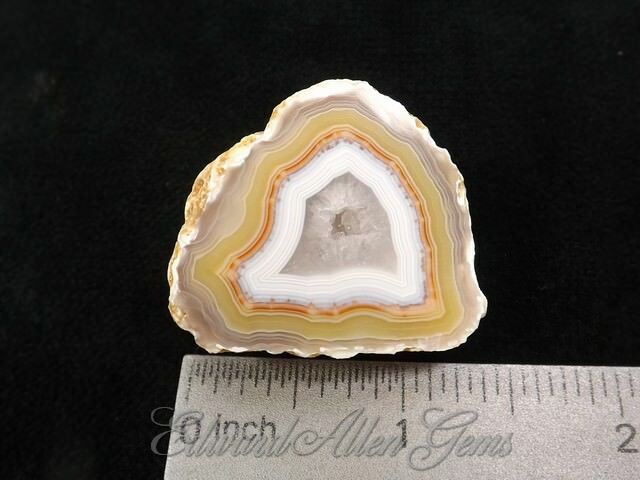 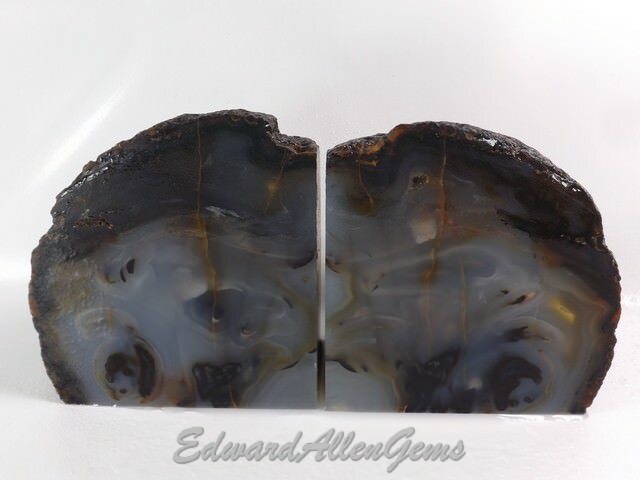 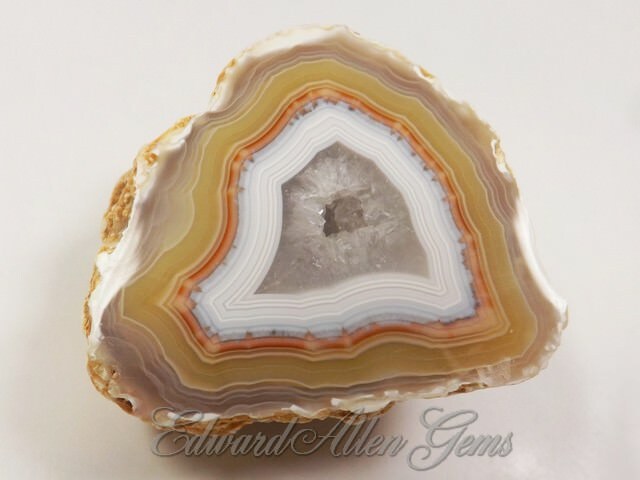 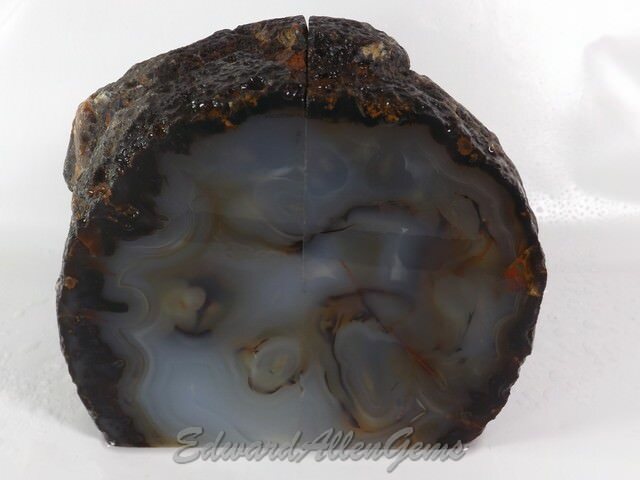 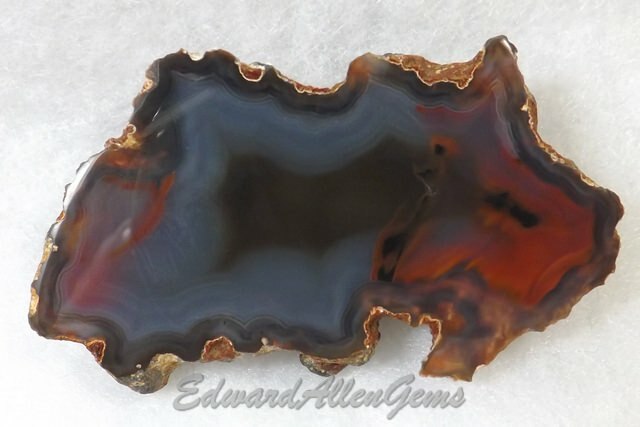 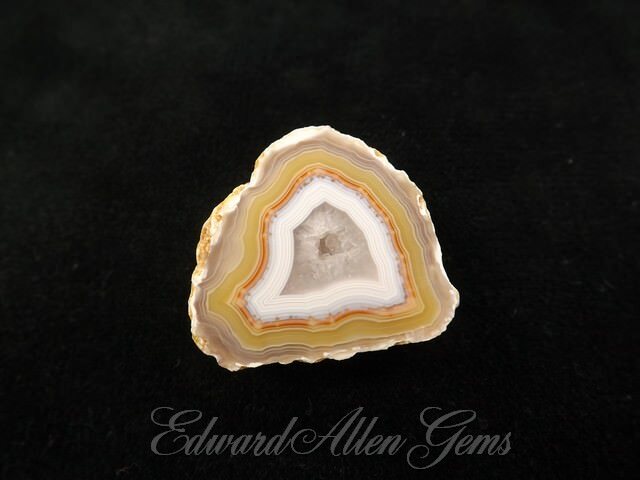 See more BRAZILIAN AGATES here. 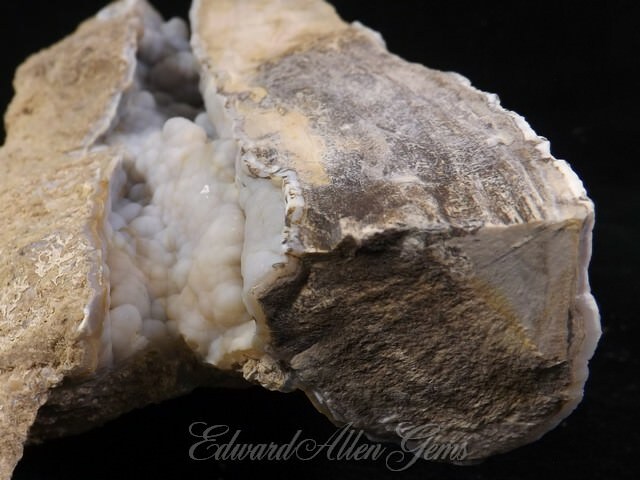 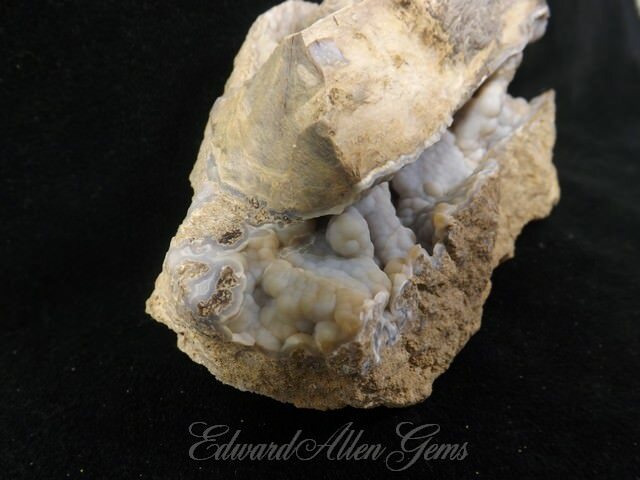 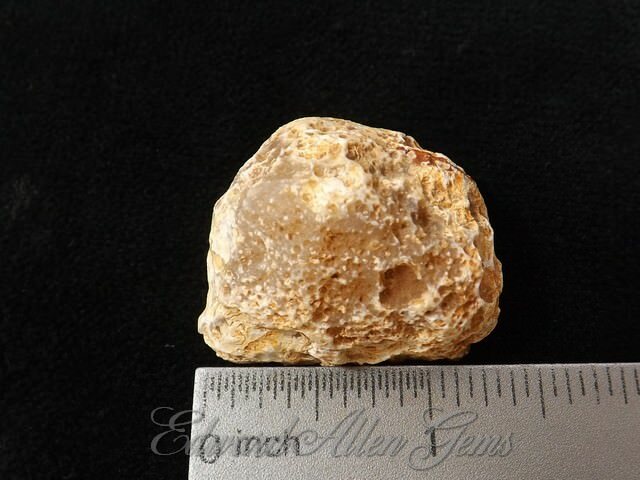 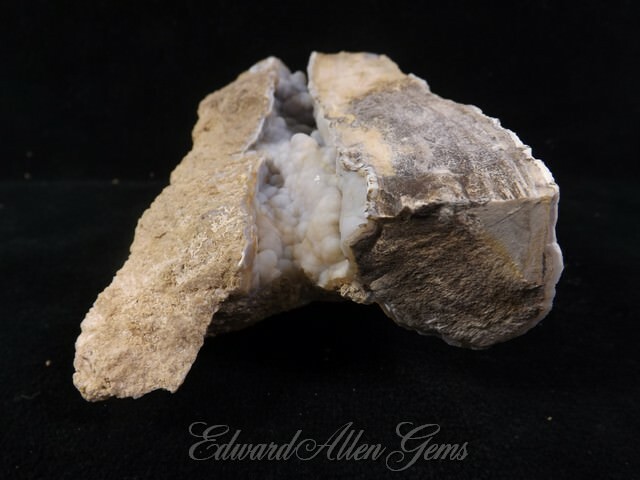 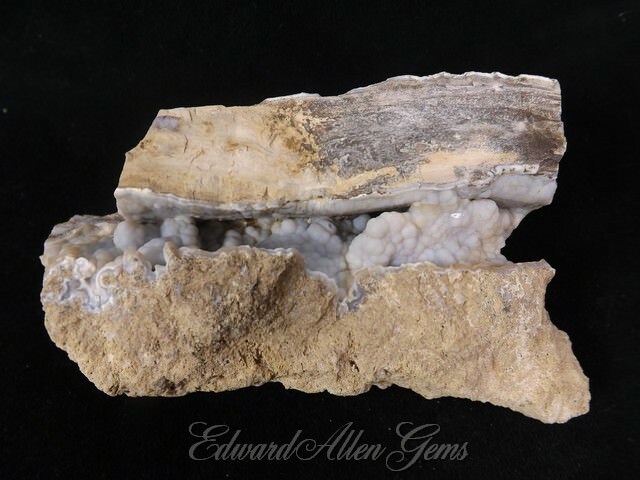 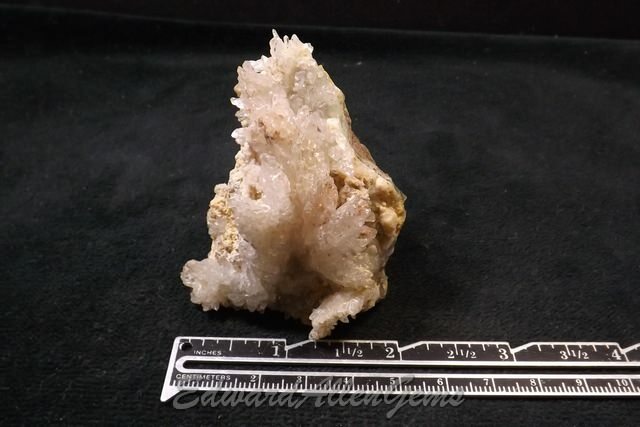 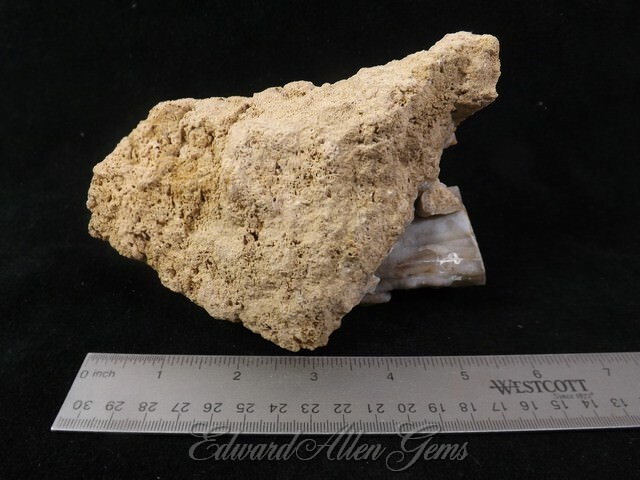 This is a gorgeous geode, a half nodule, that we believe came from the Cadys, in the Mojave Desert. 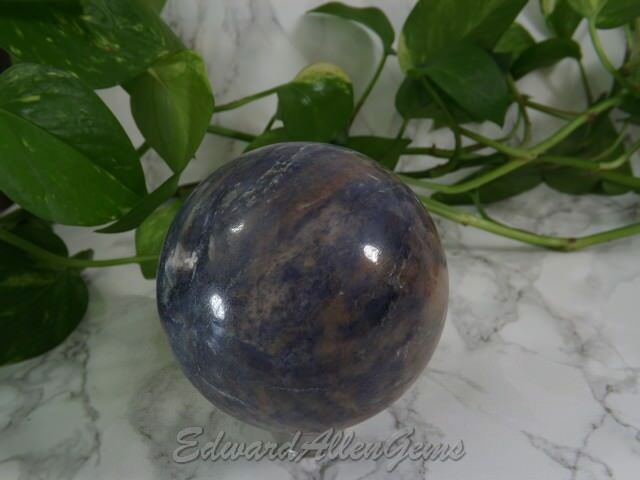 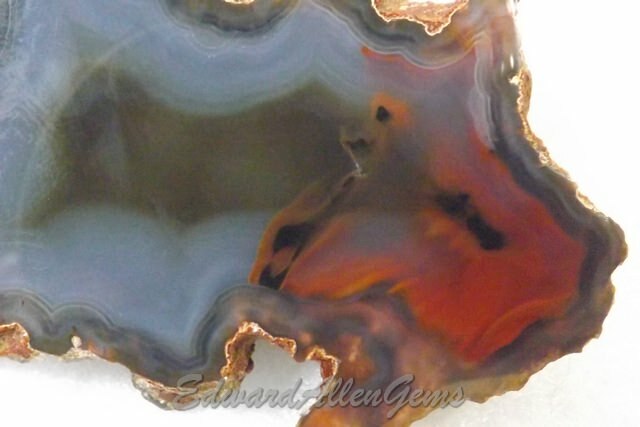 It has a beautiful open pocket full of sparkling crystals, with blue Agate, Sagenite blades of Hematite and even Agate tubes with Hematite 'eyes'. It is roughly 4 1/2" x a little less than 3 1/2" and 1/2-1" thick. 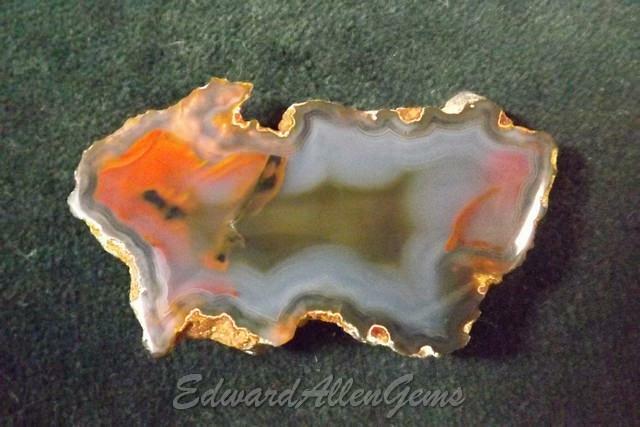 It weighs 399 grams, or 14 ounces. 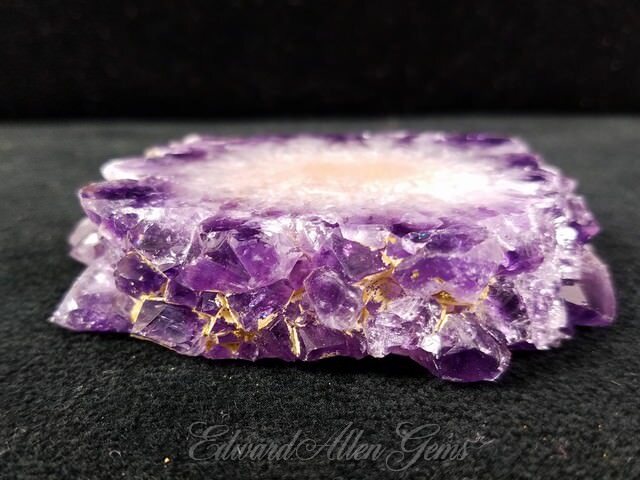 The face is polished. 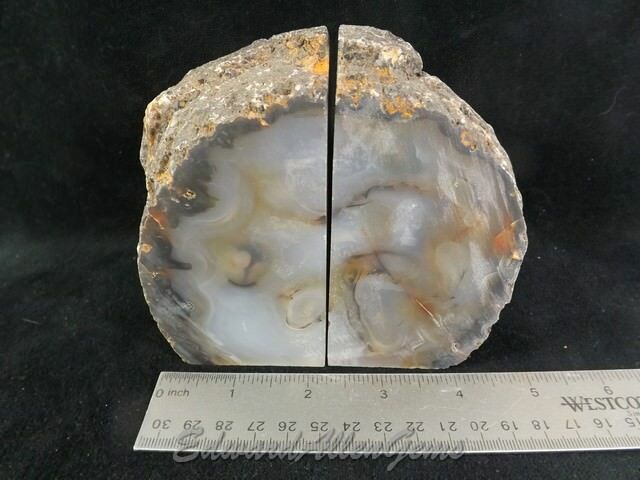 The last photos shows it together with the mate, #4235-b, available separately. 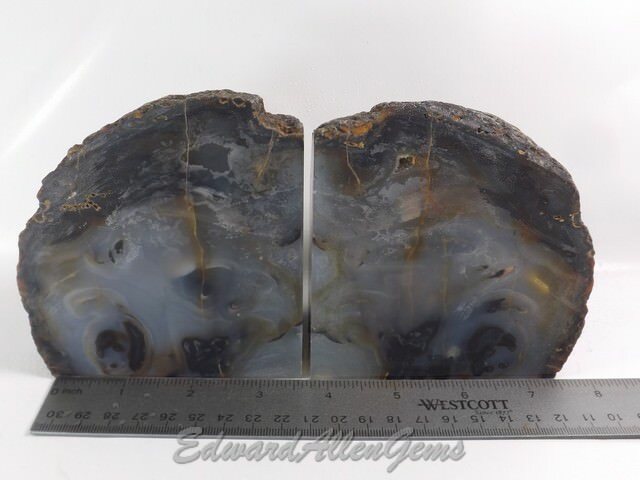 See more STONE BOOKENDS here. 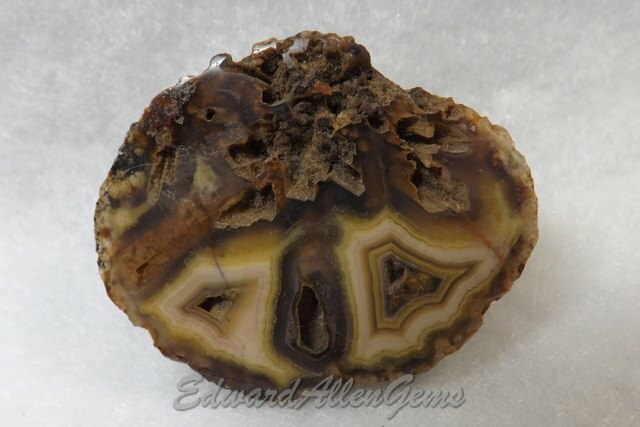 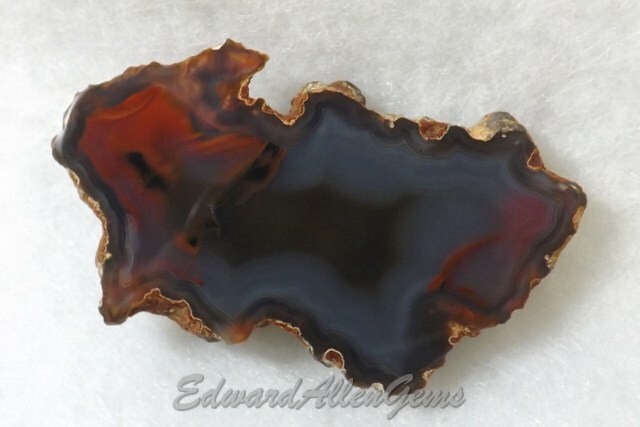 See more MEXICAN AGATES here. 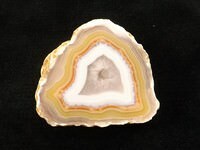 See more STONE DECORATOR PIECES here. 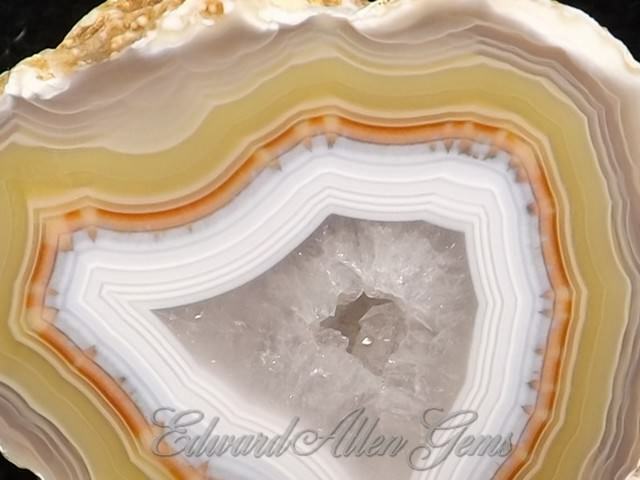 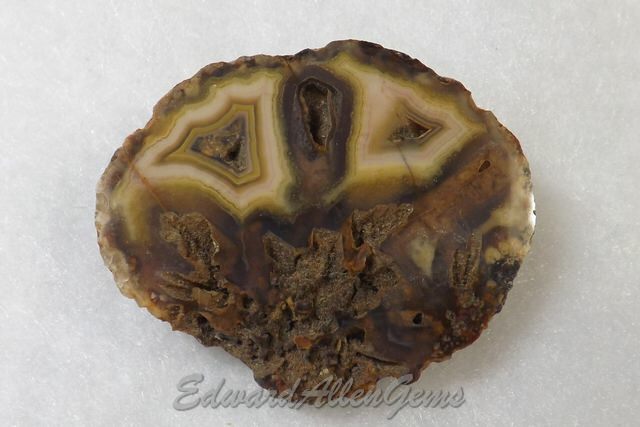 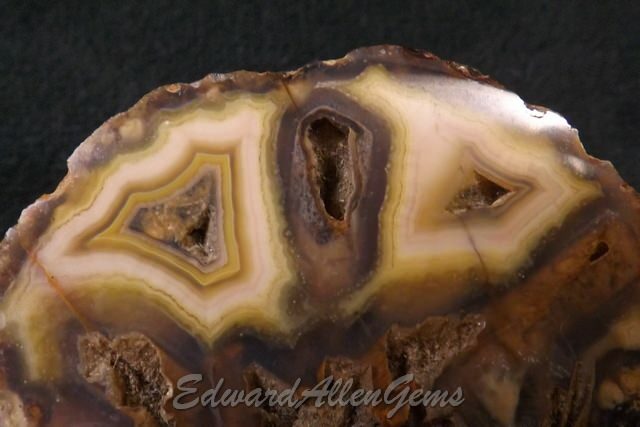 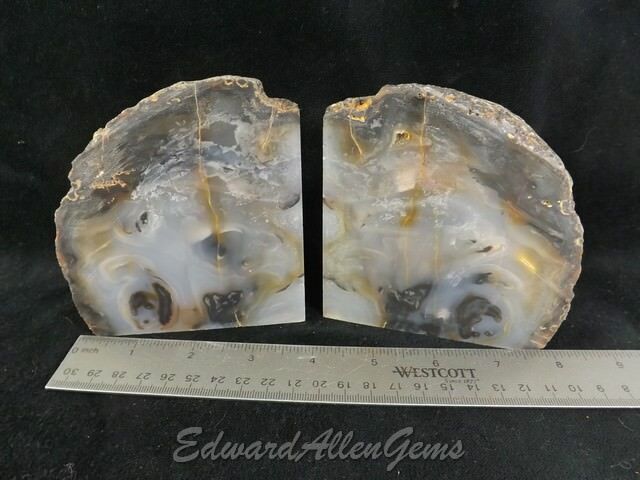 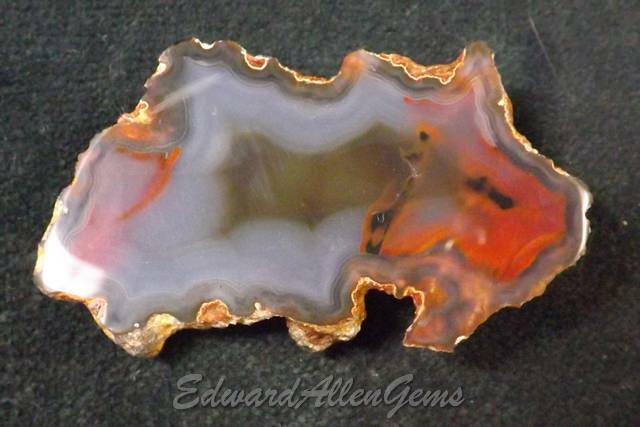 See more CONDOR AGATES here. 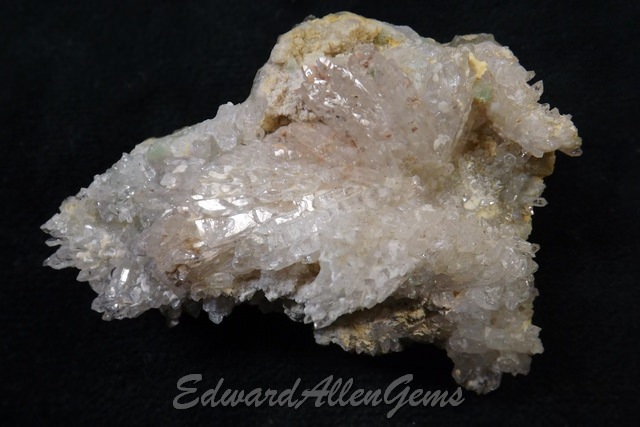 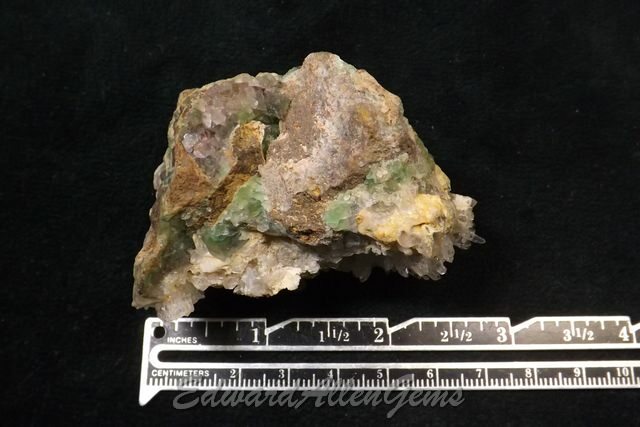 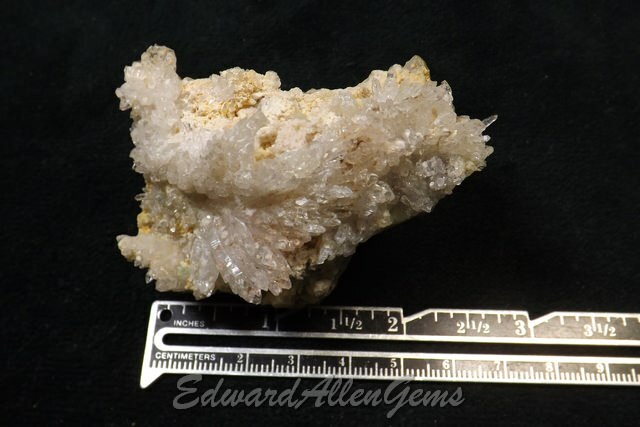 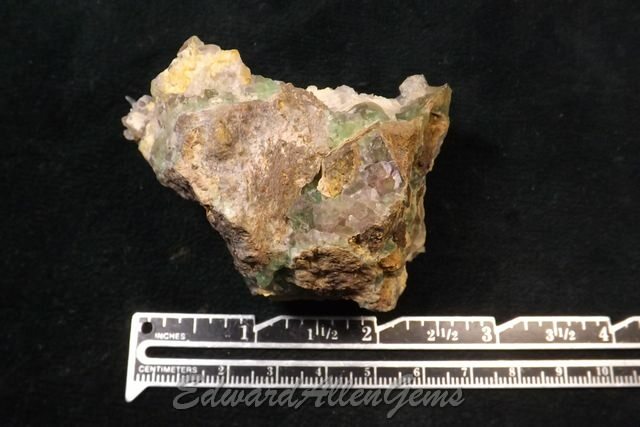 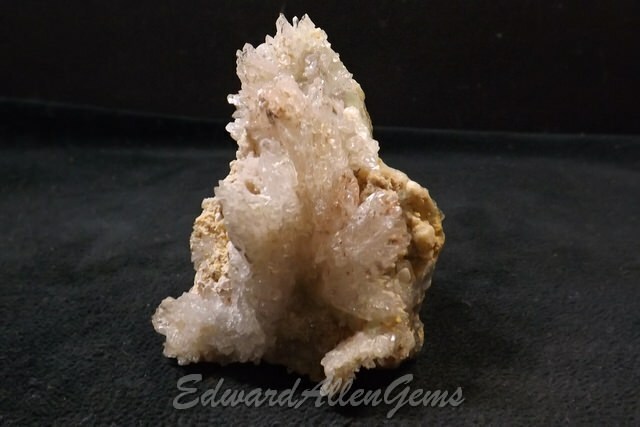 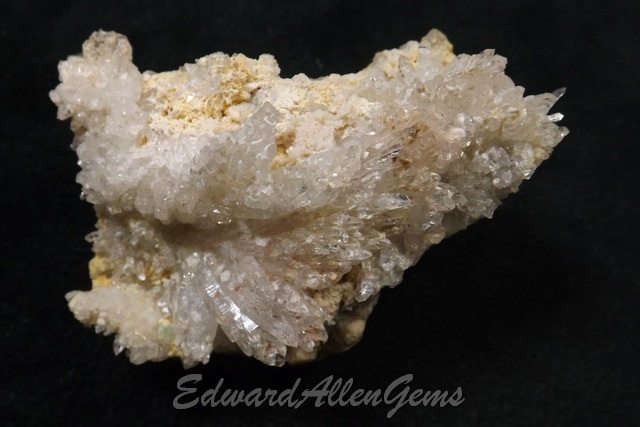 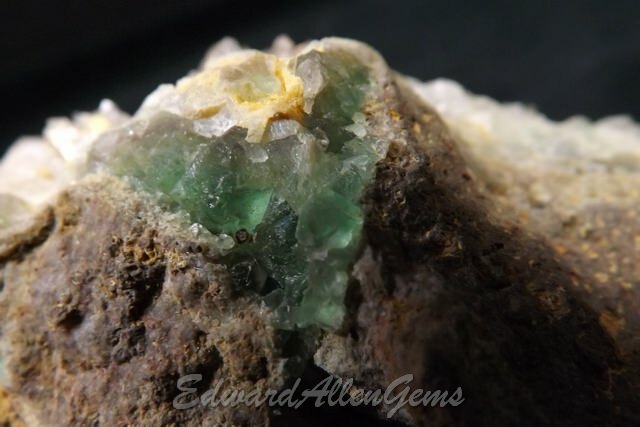 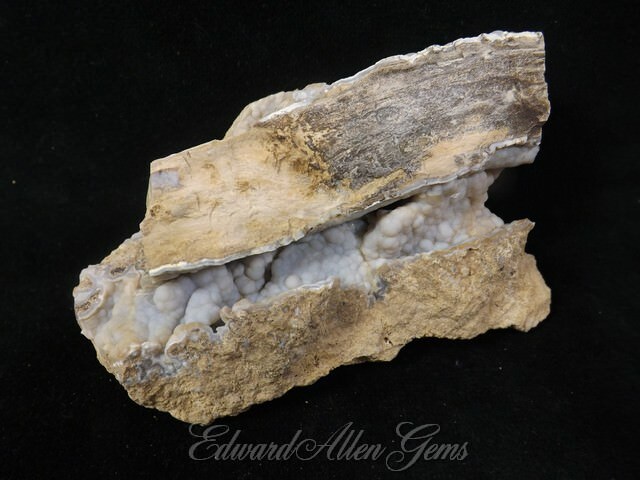 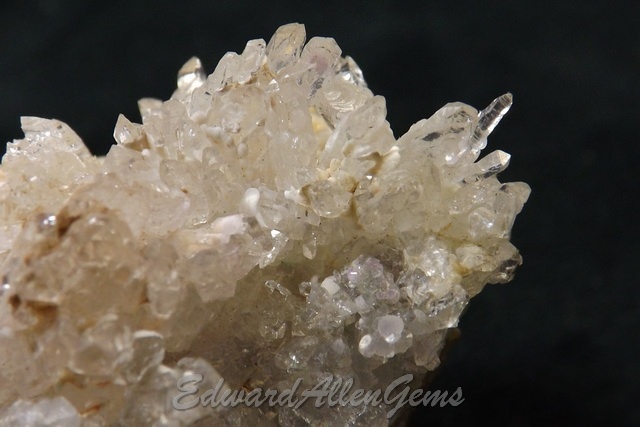 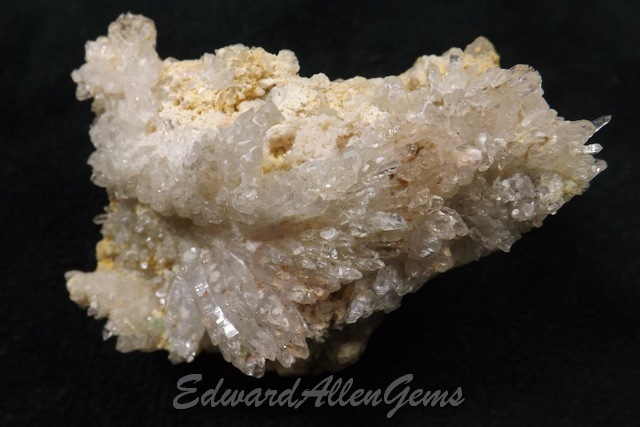 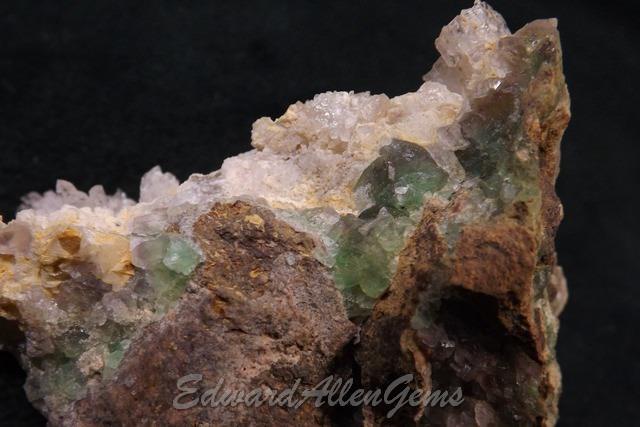 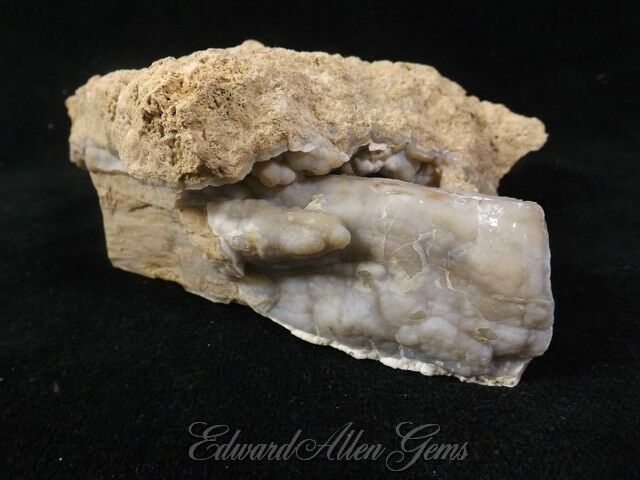 See more MINERAL SPECIMENS here. 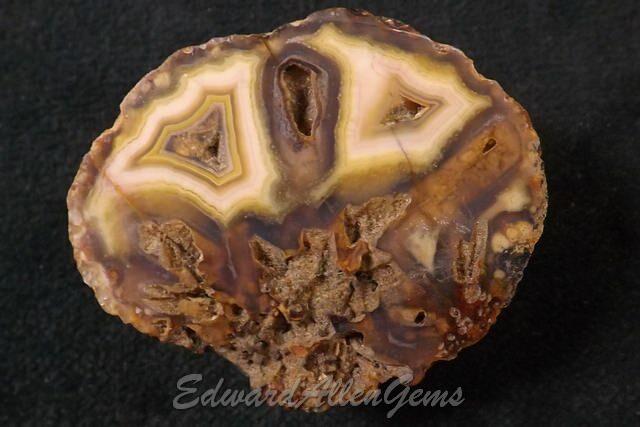 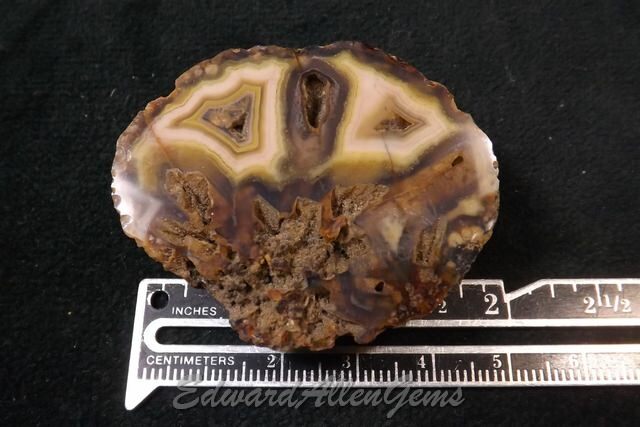 This is a polished Coyamito Agate nodule, from Chihuahua, Mexico - a neat little specimen! 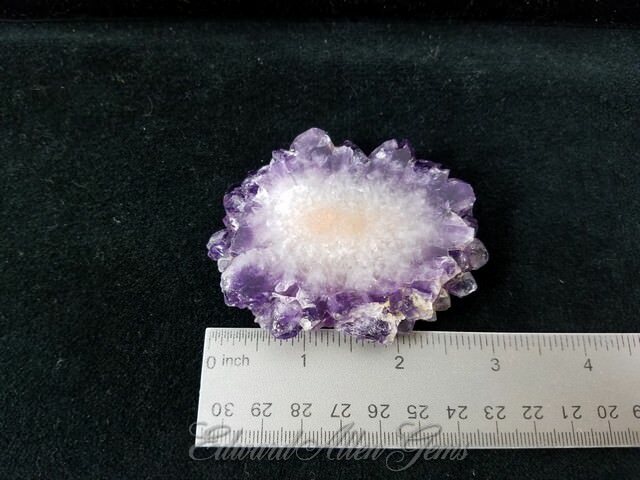 It is 1 7/8" x 1 1/2." 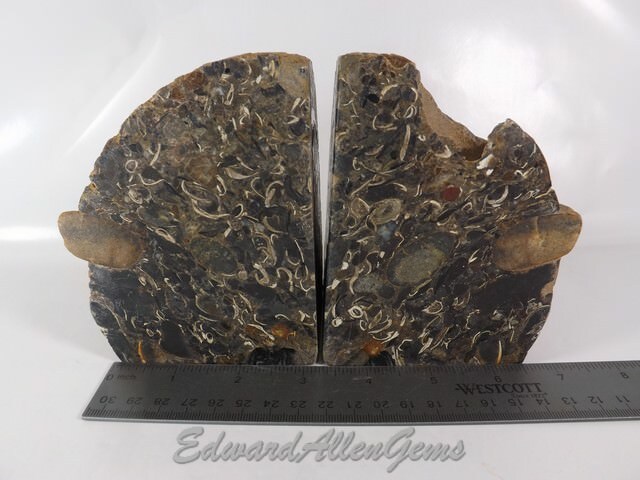 and 17 mm thick. 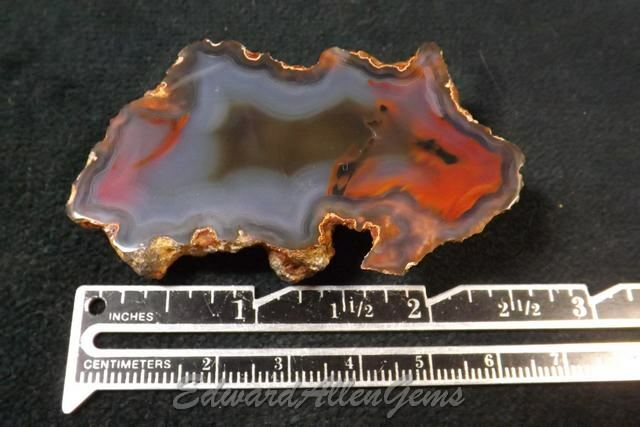 It weighs 32 grams, or 1.1 ounce.